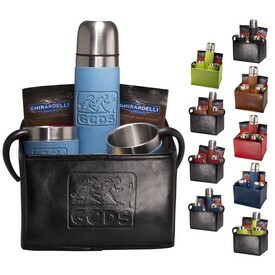 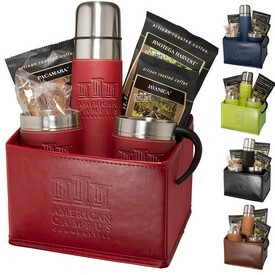 Promotional drinkware gift sets are ideal promotional products that are sure to please your customers and clients. 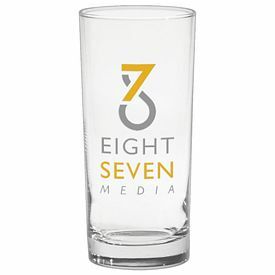 Customize our Highball glasses or Pint Glass sets with your company logo to help promote your business. 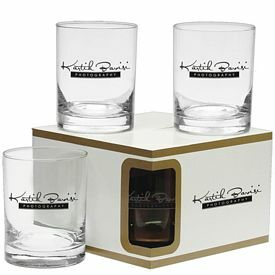 Our exotic promotional barware sets will help people remember your extraordinary galas, social events, weddings, parties, reunions, or special occasions. 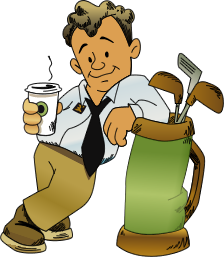 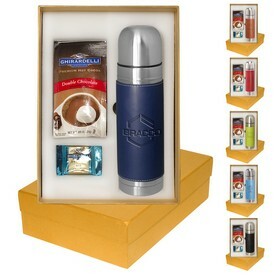 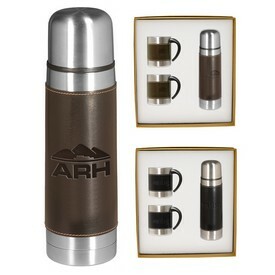 The custom 3 piece Hampton Mug and Thermos gift is a great gift idea to show appreciation to your customers. 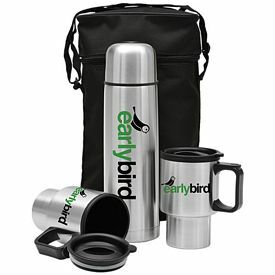 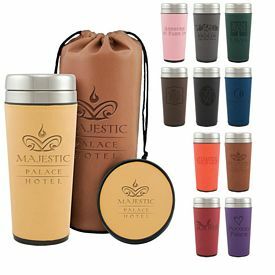 The promotional coffee gift set consists of a 1/2 litre stainless steel vacuum insulated hot beverage carrier and two 11 oz. 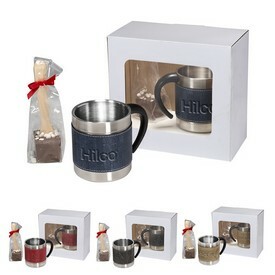 Hampton mugs in a white gift box. 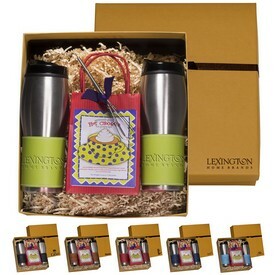 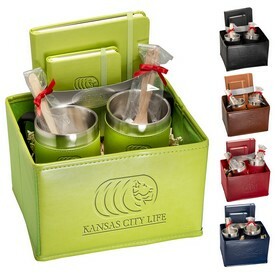 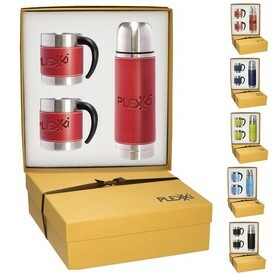 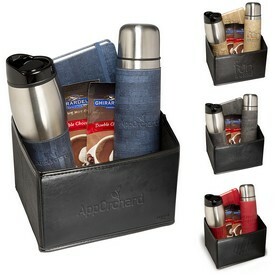 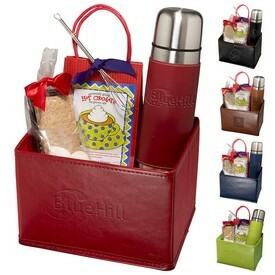 The imprinted cup gift sets are available in many exciting colors. 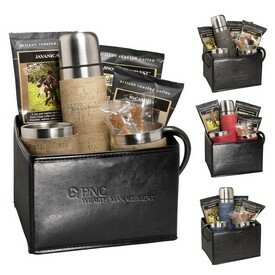 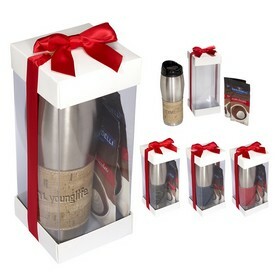 The promotional 4 pack Double Old fashioned gift set is one of the most elegant corporate gift sets. 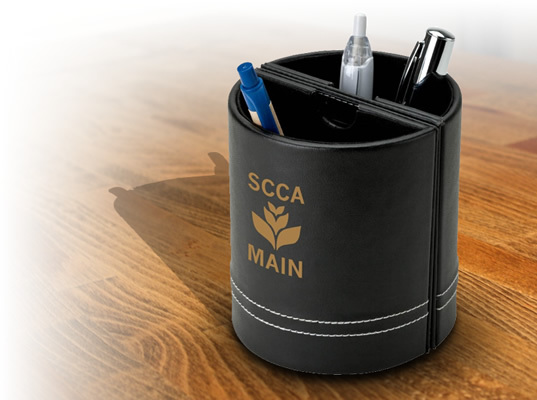 We recommend a satin etch imprint option. 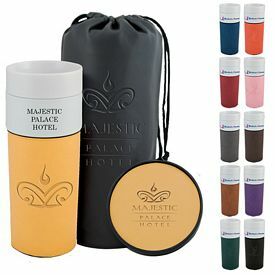 You can substitute the standard ceramic colors with 22k gold, copper, or platinum colors. 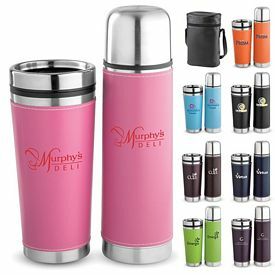 We provide microwave safe metallic prints as well. 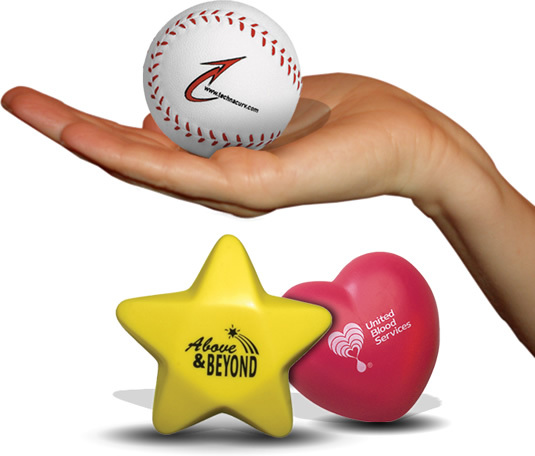 A second side imprint will be done free of cost if the imprint size and imprint color is kept the same as the first imprint. 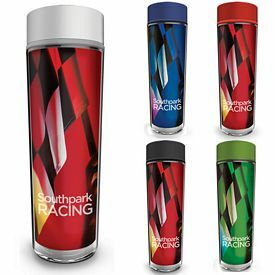 The customized 16 oz. 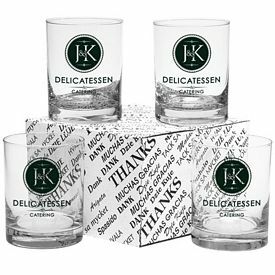 Mixing Glass Thank You Set is a set of four glasses. 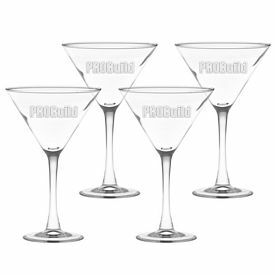 You can customize these promo mixing glasses with a deep etch monogram. 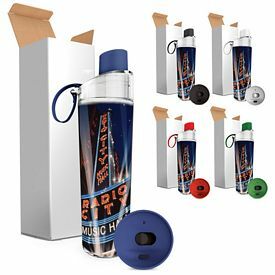 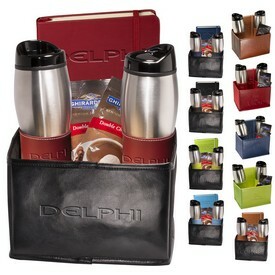 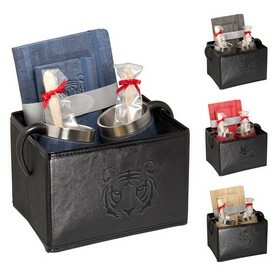 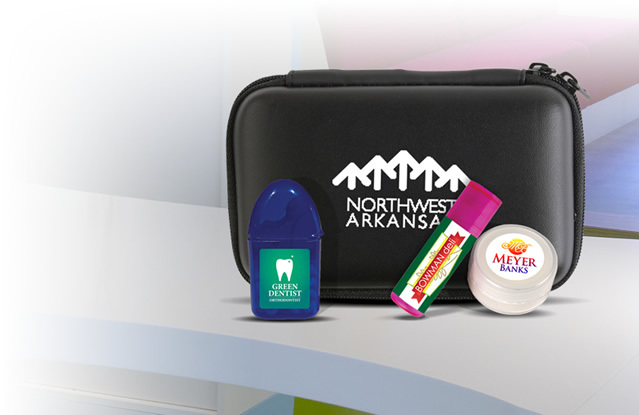 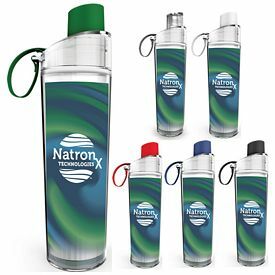 The promotional drinkware gift sets are a great way show your customers that you care about them. 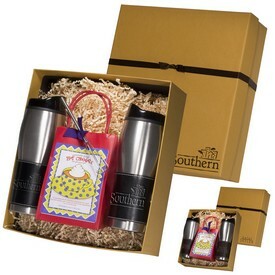 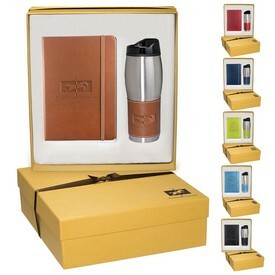 The branded drinkware gift set can be personalized with a multi-colored imprint at an extra charge. 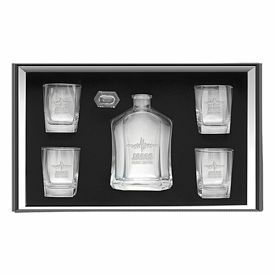 One of our popular promotional drinkware gift sets is the custom Deep Etch Sterling Double Old Fashioned glass set. 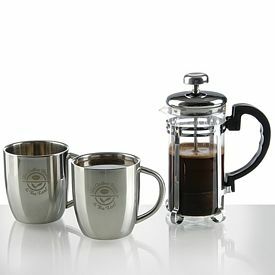 The deep etching is done free of charge on the logo glass set. 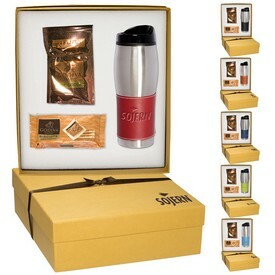 The customized Sovrano Sling Bag Coffee gift sets consist of a rugged sling bag, 16.9 oz. 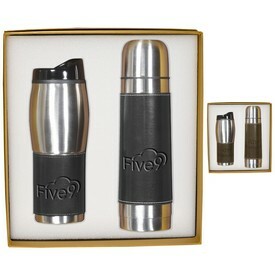 stainless steel flask, and two double wall 7 oz. 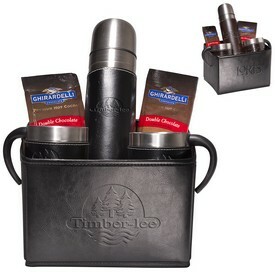 steel cups. 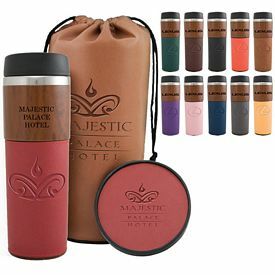 The features of the promotional bag include a padded shoulder strap, a carry handle, zippered front pocket, two side pockets, mesh pockets, straps to attach the flask, and steel cups. 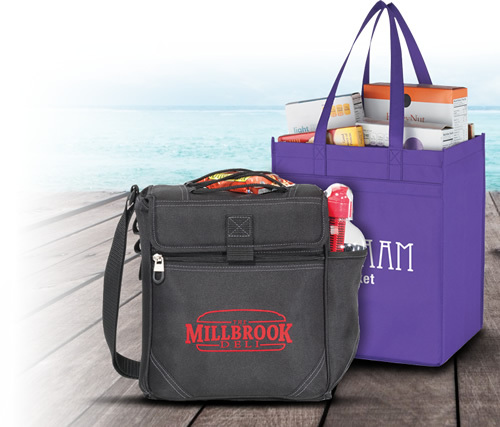 A full color digital printing and artwork eproof is done free of cost. 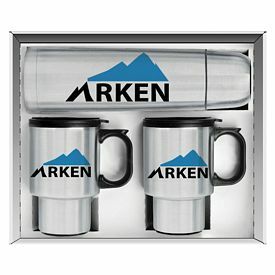 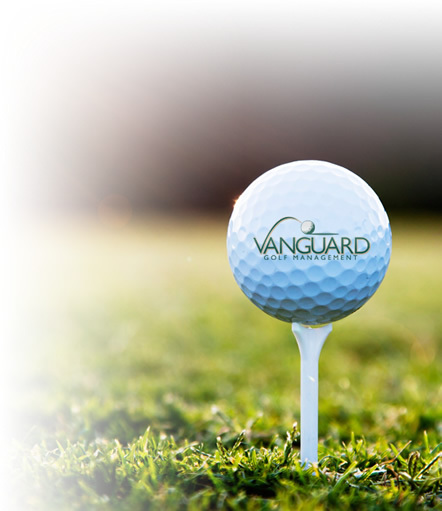 All of our logo drinkware sets will help you establish a good business name. 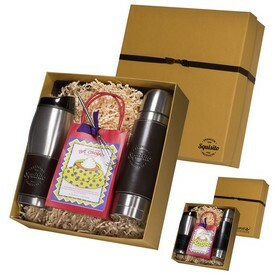 The personalized 6 oz. 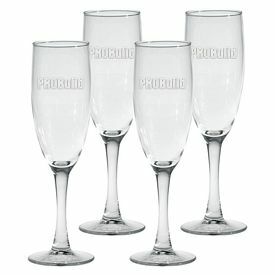 Chelsea Flute can be ordered in a set of four promotional champagne glasses. 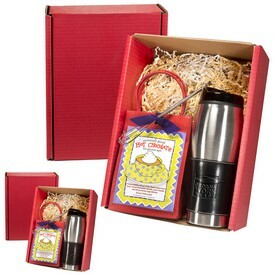 We do not provide metal bands or halos on the custom drinkware gift sets. 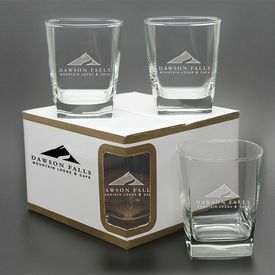 Our free deep etching will personalize the customized glasses with your business logo. 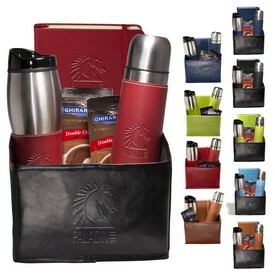 Artwork eproof is done at no extra charge on the customized drinkware gift sets. 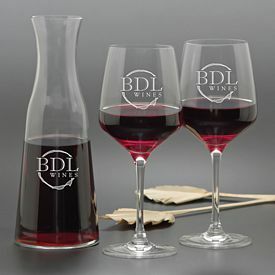 Logo wine glasses always serve as beautiful promotional drinkware gift sets. 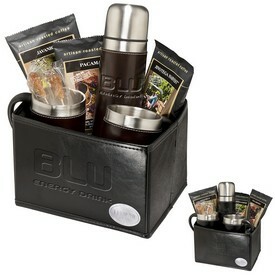 We provide custom 8 oz. 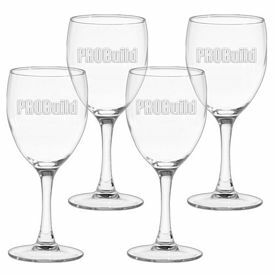 Napa Valley Collection wine glasses in a set of four. 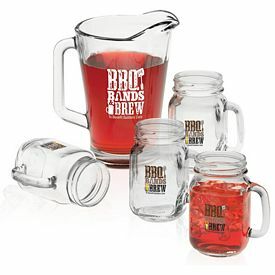 You can add gold or platinum cap bands or halos. 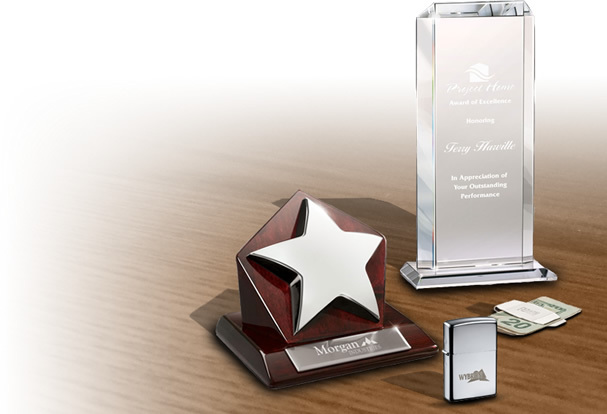 Deep etching, artwork eproof, and setup will be done for no additional cost so you can save money on your promotional campaign.